I have never been a big fan of almond milk. I’ve purchased it a few times at the store and every time I was wholly unimpressed. I couldn’t understand what the big deal was. To me it tasted either bland and chalky or sugary sweet. When I made the choice to cut down on the dairy in my diet I had to rethink my decision. Almond milk could be very useful. I knew the only way I would use it was if I made it myself. I then could control the process and know exactly what went into it. I wanted all natural ingredients, no added sugars, and it had to be tasty. 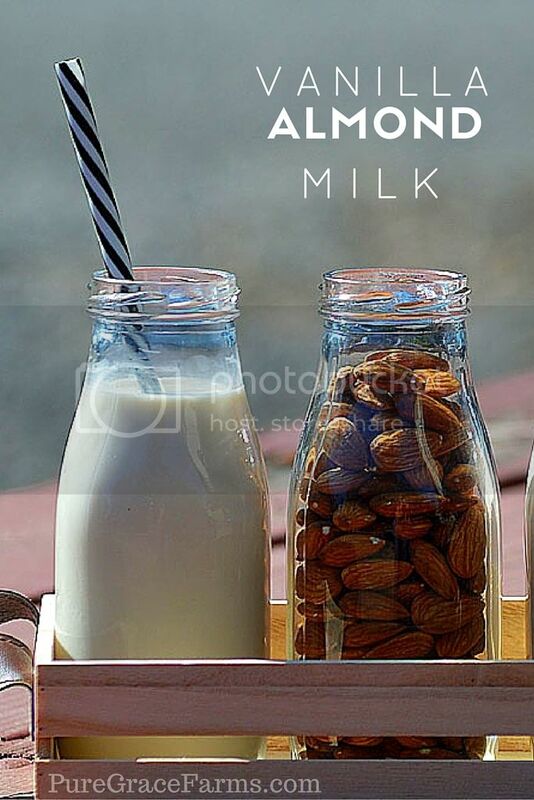 Recipes for almond milk are abundant and making my own proved to be quite simple. With a few ingredients and some simple equipment I made a delicious, all natural lightly sweetened almond milk I love. 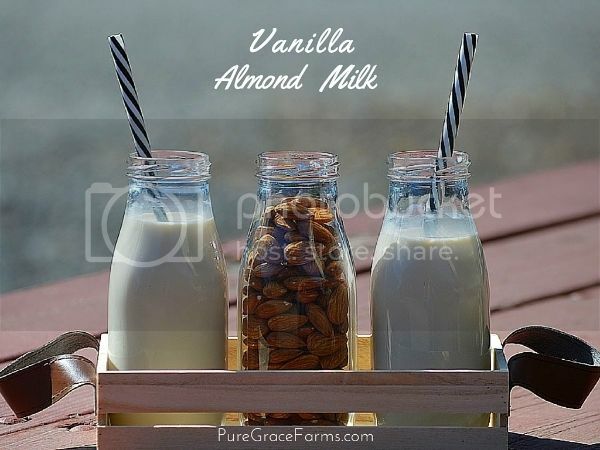 Dates and whole bean vanilla combine with almonds to give this vanilla almond milk a wonderful flavor. I can tell you for certain… my coffee has never tasted better. Place almonds in bowl and cover with water. Soak for at least 8 hours or overnight. After almonds have soaked the required time, drain and rinse. Place almonds, dates, vanilla bean and 4 cups water in blender. Blend on high for several minutes until almonds, dates and vanilla bean is thoroughly ground. Strain almond mixture through nut-milk bag into container. I can be so self-absorbed at times, ” my life, my rules, my importance,” and tend to forget that the world doesn’t and shouldn’t revolve around me. The problem lies mostly in my desire to be right and in making no allowances or room for the opinions and beliefs of others. Some would call this narrow-mindedness or stubbornness but I don’t think that’s accurate. All of us can tend to be bit narrow-minded and stubborn in the belief systems that we have formed over our lifetime. No, I think it is more about not being willing to love and forgive, regardless of the differences we all at times may share. It is becoming clearer to me, that my responsibility lies not in forcing another to believe what I believe, but to love them in spite of those differences and in being willing to forgive when those differences bring us pain. A tough lesson to learn and as usual brought about in the crucible. I continually ask myself “why must I always learn these lessons the hard way? ” but at the same time, very grateful I am still open to learning them. Gluten Free Carrot Cake. When I first came upon this recipe, I was determined to change it up a bit, but after preparing it as the recipe dictated I realized it was almost perfect just as it was. So I made a few changes and will say I very loosely adapted this recipe because the bones of it was already established. The original recipe came from My Natural Family. A great blog site that focuses on taking charge of your family’s health with an emphasis on Healthy recipes with real ingredients.